We are delighted that Actress, Playwright and Comedian, Lory Tatoulian will be featured at this year’s AIWA-SF annual event celebrating “Armenian Women Preserving the Cultural Heritage”. I had the distinct pleasure of chatting with Lory who shared her background and comedic inspiration. 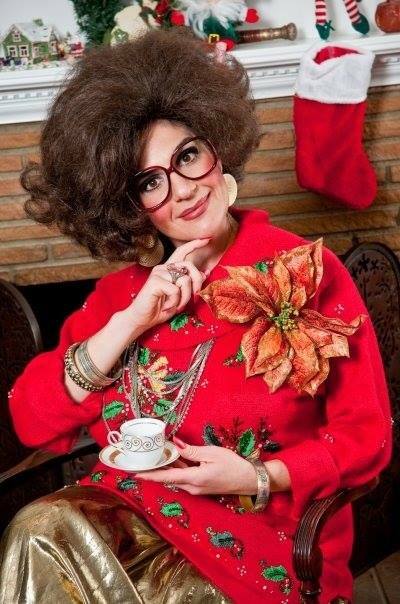 Lory grew up in the small town of Reedley in the Central Valley of California, just outside of Fresno. The demographic was mostly Old Armenian Farmers, German Mennonites and Hispanic Farmers. All the Armenian residents of the city, then and now, are Genocide survivors. A love for theater and the arts started at a young age. Lory was always in school plays and her family had a deep passion for theater. With distinct enthusiasm, she loved watching all the live performances they would attend. Her father, Der. Datev Tatoulian is a priest in San Diego; as a result, Lory was exposed to a lot including funerals, baptisms, weddings, and many other occasions. Thus, from a young age she saw a part of the Armenian cultural spirit across various life celebrations, happy and sad. This intimate exposure left a profound impression on Lory. A Theater major at San Diego State University, Lory participated in as many plays and productions as she could. As much as she enjoyed being a character, she knew she wanted to do something on her own. Following her instincts, she decided to do a one woman show. She negotiated with the college and was granted access to the University Theater. The title of the show, which happens to be one of my favorite Armenian saying, “Sitting Twisted, Talking Straight” was Lory’s first solo production. The production featured a collection of 10 different sketches’. Each a different personality, 3 of which were Armenians: an Armenian coffee cup fortune teller, an Armenian Housewife, and a retell of the story of a Grandmother’s Genocide survival. Here she pauses to mention that she wanted to share the story in a very artful way. She laughs as reminisces “my first one woman show was ages ago”, but makes mention that it really was this performance that laid the foundation from which she launched her career. While she acknowledges that she has always been known as “the funny girl” she was profoundly touched by how many people she had made laugh. The number of friends who came to San Diego to watch her performance was greater than she expected and it is through the experience of “Sitting Twisted, Talking Straight” that she realized her characters could draw crowds. This was also laid the groundwork for Lory to find her way into producing and performing her own work. In the audience she literally saw how big of a the support system she had–“it was heartwarming”. She did not expect the University Theater to be as packed as it was of friends and family who came, from near and far, to support her. She humbly notes, “this is when I realized that I had the power to do my own stuff”. I am struck by the inspiration of the statement. Often times we don’t follow our instincts or our dreams…but Lory was able to see the power and beauty in her dreams. Finding fulfillment in telling stories with heart and humor Lory’s approach is refreshing and absolutely hilarious. As Lory shares her story, I am struck by a unique and seemingly natural talent she has of being able to take very complex, sometimes serious stories and making them comedic without compromising the essence, beauty or emotion of the story. An example of this is how beautifully she tackles Armenian issues such as the Armenian Genocide. Lory and I share a similar observation that stories are not being told. Perhaps this is because telling good stories and engaging audiences is hard. She talks about how a lot of Armenians simply do not realize “what a cool culture we come from. I wanted to be able to tell the stories in a comedic way while still keeping them authentic. Armenians are cool, crazy and hilarious; there are endless stories to tell, so much to laugh about in a celebratory sort of way”. On this point, Lory could not be more correct, in history a dear family friend, Shirley Hemphill would get a lot of her comedic content from my family. 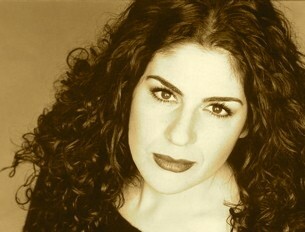 Lory graduated college in 2002 and continued performing one woman shows. Eventually more and more people started to come. She was invited by AGBU to New York to perform, she pauses as she remembers how young and nervous she was but notes that the performance gave her the confidence to start doing different sets. In 2006 she officially moved to Los Angeles; she took classes at The Groundlings and worked for the Armenian Reporter as a journalist. She says “in that role I attended about 500 banquets, that’s what Armenians do, we throw gala events and attend banquets”. Again she was struck by the profound stories, deep rooted issues and awesome personalities that make the Armenian culture so rich. She started to realize that character development is critical and as she developed her characters she started to fall in love with them. A fan favorite is Sossi Hayrabedian. 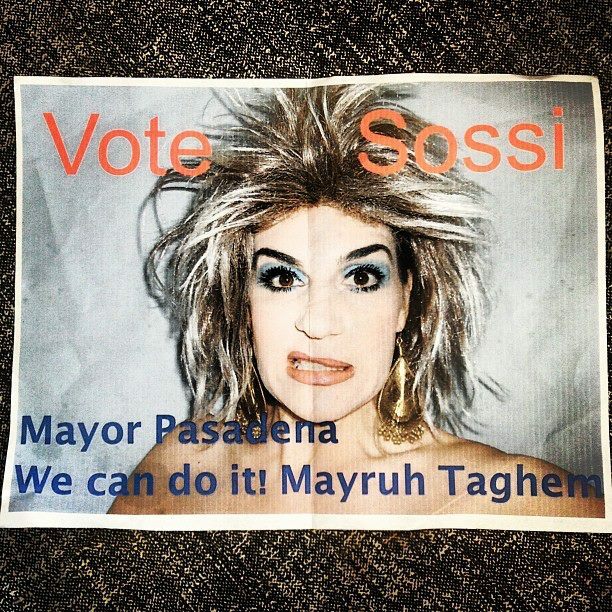 An exaggerated version of the know-it-all Armenian immigrant who is on a constant campaign; Sossi wants to be the Mayor of Pasadena. Sossi became so popular that “Vote for Sossi” t-shirts were made. These shirts have traveled the world as people take photos in their “Vote for Sossi” shirt at popular landmarks worldwide like the Eiffel Tower and the Pyramids in Egypt. 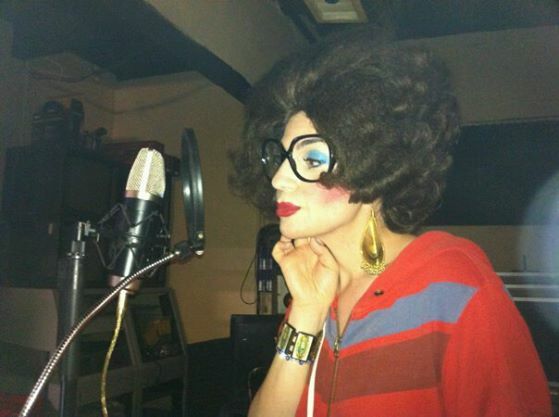 As she developed each of her characters the idea of the one woman show evolved to be The Big Bad Armo Show. In 2009, when The Big Bad Armo Show came out, she was not expecting what happened. The first show drew in crowds of over 300 people. Popularity grew from there as momentum was gained. There are 5 installments of the show, 60 sketches and a host of brilliant characters including Dandeegeen, Gary the Shoorgh Bar King, Mardy & Vardy,Gucci Gago, and Odar Bob. Currently, Lory is on tour with The Best of the Big Bad Armo show with with her awesome cast including: Alex Kalognomos, Ludwig Manukian, Alex Mashikian, Raffi Rupchian, James Martin, Helen Kalognomos and Greg Rohde. The show will debut early December in New York. She is also working on a web series on Life in LA. She describes it as “a script comedy show on all cultures and lifestyles in LA, we literally make fun of everything, it’s going to be fantastic.” We are so excited to support Lory and are thrilled to partner with her for our upcoming event on November 15.